Year round. Office open 9 am to 9 pm. 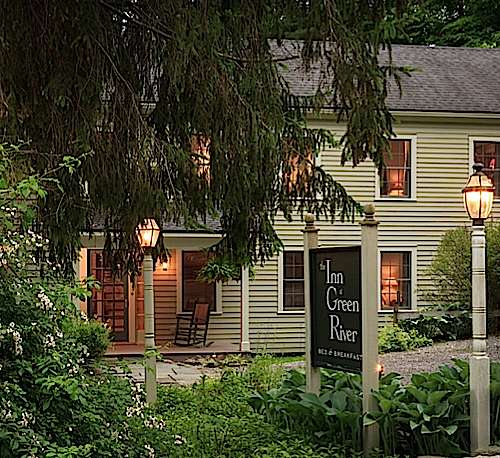 Classic, Select Registry inn just 15 minutes from Great Barrington in a serene, country setting in adjacent Columbia County, NY. 7 guest rooms, all with private, ensuite baths, A/C and WiFi, most with gas fireplaces, some with whirlpool tubs. ADA guest room. Breakfast described as ''a feast'' by The New York Times. Discounts for Simon's Rock families. Enquire regarding our corporate rates.